Ever wanted to eat the rainbow? 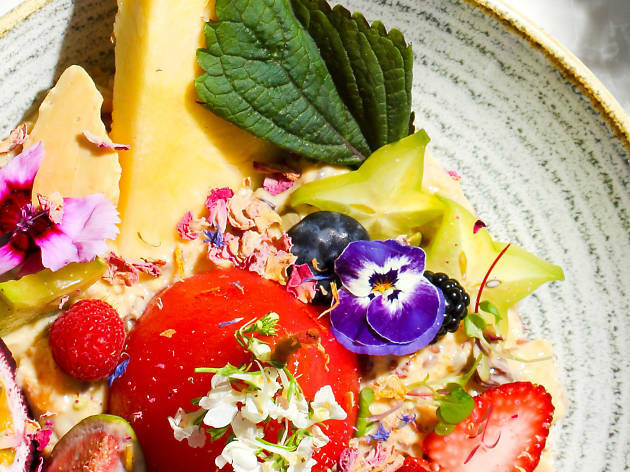 You don't need a pack of Skittles – you can just pop into this Redfern café that's all about dishing out colourful breakfasts and lunches. 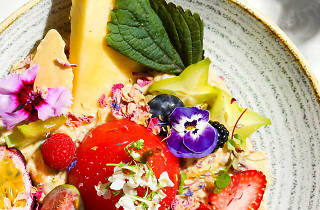 Chefs Sophie Bramwell and Marcello Ferrero are whipping up menu that focused on bright dishes like the Hunky Dory (matcha bircher muesli with rose poached pear, seeds, pistachios, seasonal fruits, nuts and berries) and the My Guilty Pleasure (banana split topped Belgium waffles with chocolate, lemon curd, salted caramel, berries, peanut butter and rose petals). If you don't have a sweet tooth you'll want to get around the Hickory from Kinickory, a breakfast burger with bacon, fried eggs, oak lettuce, tomatoes, cannellini salsa and house made hickory BBQ sauce on a brioche bun. There;s also cold-pressed juices, crossiants and coffee of course.